Steffon Armitage is to join Toulon after being granted an early release from his London Irish contract. The flanker, 25, has already agreed a two-year deal at the French club, where he will link up with fellow England squad member Jonny Wilkinson. Armitage's Exiles deal ran until 2012 and the club had insisted he would not leave unless they found a replacement. But they confirmed his departure "with immediate effect" in a brief statement on Friday. It added: "The club wishes him all the very best for the future." Last month, London Irish coach Toby Booth dismissed reports that Armitage was on his way to Toulon, insisting was still an Exiles player. And he said: "Having worked together for so long I'd be bitterly disappointed to lose him." Toulon coach Phillippe Saint-Andre said at the time: "He's a very fast player and very powerful, given his size and his weight. He can also play at centre and he speaks French." Armitage joined the Exiles in 2006 and signed a three-year-deal in 2009 to keep him at the Reading-based club until the end of the 2011-2012 season. He who grew up in the south of France and is a fluent French speaker. 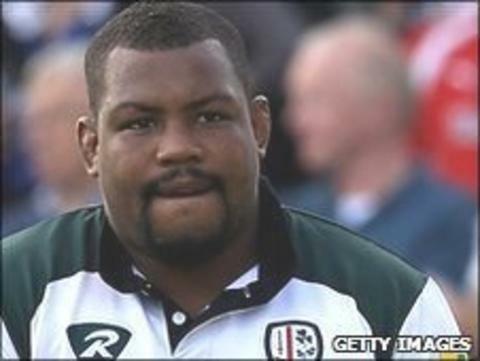 Armitage's older brother and fellow England international Delon, 27, remains a London Irish player.